For individuals who use GreenSock tools casually and want to gain access to some of the bonus plugins. For individuals who want all of the bonus plugins and extras, but aren’t in need of a commercial license. For businesses who want everything including a special commercial license. Tween any value at a particular velocity and/or acceleration without needing to define an end value. One unique convenience is that everything is reversible. So if you spawn a bunch of particle tweens and throw them into a TimelineLite, you could simply reverse() it to watch the particles retrace their steps right back to the beginning! Learn more about Physics2DPlugin and PhysicsPropsPlugin. Speed up your animation workflow. Great for client reviews too! SplitText makes it easy to break apart the text in an HTML element so that each character, word, and/or line is wrapped in its own div tag. Try any plugin for free on codepen. physics2D and physicsProps plugins for tweening based on velocity, acceleration, friction, etc. DynamicPropsPlugin which allows you to tween to values that are constantly changing. transformAroundPoint and transformAroundCenter plugins to set custom transformation points. We gladly offer discounted pricing to various educational institutions; just let us know how we can help. Need a custom commercial license? We realize that some legal departments have special requirements. If you're not thrilled, contact us and we'll gladly refund the full purchase price. Satisfaction guaranteed. If you're not thrilled, we'll gladly issue a full refund. Our customers agree, you'll love what Club GreenSock has to offer. Discovering TweenLite (and all of your products) was a defining moment in my career and has forever changed the way I create apps. Best $ I spent in my life. I thank you on my bare knees for the extra classes that came with the Shockingly Green package! These tools represent the best investment you can do as a developer (I earned the money back within one project because of the time saving features of TweenMax and the bonus classes). Thanks GreenSock for all the questions you have answered. People should know that you stand behind your code, and that when it comes to tweening classes your code is second to none. You have me hooked for life. OK, so my membership is expiring. And I’m back to renew AND upgrade to Shockingly Green, happily, happily. The classes, the support...topnotch. To be honest, for most of what I do the free stuff would suffice, but I really like being able to throw my support to someone who really does a bang-up job for all of us. Thanks, GreenSock! With the incredible functionality, and the mind-blowing customer service, the price of Club GreenSock admission is well worth it! Can I try the bonus plugins before I buy? Absolutely! We would love for you to see for yourself how powerful and helpful these tools are. We created a starter template and video to show you how to use fully-functional trial versions of Club GreenSock plugins on CodePen. Will the bonus plugins suddenly stop working when my membership expires? Nope. We don't inject any "phone home" code that tracks usage or causes the plugins to suddenly stop working on a certain date. Hopefully our tools prove so valuable and profitable to you that you'll gladly renew every year to keep getting access to the goodies. Can I distribute GreenSock files as a part of my Work Product? Yes, as long as the source files are unaltered (including copyright notices therein). Your customer may use GreenSock tools (including bonus plugins/classes you got with your membership) only as a part of your Work Product. However, if your customer wants to use the GreenSock tools outside of your Work Product (or make customizations to your Work Product) to resell to their customers, they would need to get their own "Business Green" Club GreenSock membership to cover their usage. If your Work Product is given away freely and you're not distributing members-only plugins, you're golden...er, green...er, fine. Can I include GreenSock code in my open source library? Absolutely, but there are a few caveats: You may not include any of the members-only bonus plugins/classes in your open source tool (for obvious reasons) and you must clearly represent that the GreenSock code uses its own separate licensing model. 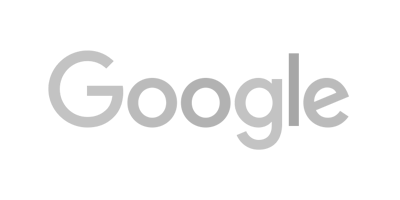 We encourage the use of GreenSock tools to empower other open source tools. For how long must I maintain my membership? You may cancel anytime. You'll simply lose access to updates to the bonus plugins/tools and if you're a Business Green member, your commercial license would expire at that point. You should keep it active as long you are selling/licensing your product to multiple end users. Work Products that you sold in the past do not suddenly fall out of compliance when your membership lapses – you just can't continue to sell products that use GreenSock tools after your membership expires. If you don't want to worry about the license expiring, you can simply get a permanent license. Oh, and we don't add any code into the members-only plugins that would make them suddenly stop working when your membership expires. They'll continue to work. I don’t want to pay annually. Can I get a permanent license that never expires? Absolutely. 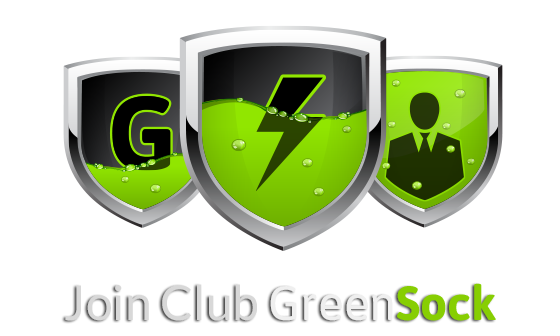 Click the "permanent" checkbox under the "Business Green" membership on the Club GreenSock page. If I get an annual membership, can I upgrade to a permanent one later? Sure. You can upgrade directly from within your GreenSock account anytime. Contact us if you need help. Is there a limit to the number of projects I can use GreenSock tools in as a “Business Green” member? No. The commercial license that comes with “Business Green” Club GreenSock memberships applies to an unlimited number of apps/sites/software/games that your organization sells while the membership is active (see the license agreement for specifics). Please be sure, however, to get the appropriate membership level based on the number of developers associated with your organization. What if I develop a commercial product for my client who will be the one selling the product? Who needs the “Business Green” membership? To make it easier on GreenSock customers, the policy is that the development company needs to maintain a valid “Business Green” membership. If, for example, Company A develops a Work Product that uses TweenLite/Max and sells it to Company B who will be licensing it to end users, Company A must maintain a “Business Green” membership. Company B would not be required to have a membership. If, however, Company B prefers to maintain a membership instead, that is perfectly acceptable as long as it wouldn’t reduce the club level, meaning if the development company has 20 developers and Company B has 1 developer, it wouldn’t be fair to circumvent the terms by only having Company B get a single developer membership. A 20-developer membership would be required. When determining the appropriate membership level, do I need to include only full-time developers? What if my company doesn’t have any? You must include all freelancers, consultants, subcontractors, etc. in addition to full-time developers. Why not give the code away for free? We firmly believe this licensing model ultimately delivers a superior end product and serves the community better. Open source projects with no funding mechanism typically stagnate and become obsolete. Our goal with this licensing model is to keep the tools extremely accessible while putting in place a mechanism that funds continued support, innovation, and bug fixes. Read The "Why" Behind the GreenSock License for details.